Hi Foxy Friends! 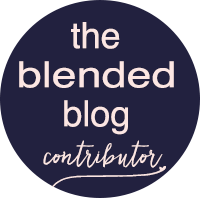 Today I'm joining The Blended Blog for our Monday chat session. This week we are sharing self-care tips. Since I am a mom, I'm going to be sharing my secrets to making the best version of me that I can. You have to get rid of the Mom guilt! You cannot be the best to your family if you are not feeling the best. As a working mom who is away from the house from 5am - 5pm, sometimes it's hard for me to want to go to the gym after work and take the kids with me, and drop them off at the kids care at the gym. I think, they've been with someone other than me or Mr. the whole day, and now I'm going to drop them off again? You bet I am! I KNOW that when I work out, I feel better about myself, and I get all those anger endorphines out of my system, so that I then have more patience with the kids and am a better mother for it. I wrote a post a few years back about mom guilt and when it starts to creep in, I came up with the phrase Stop And Think About It, go check it out to see what I mean when I say that. In all honesty I had forgotten that I wrote that, and re-reading it...I'm just nodding my head and thinking, I need to remember all of this! 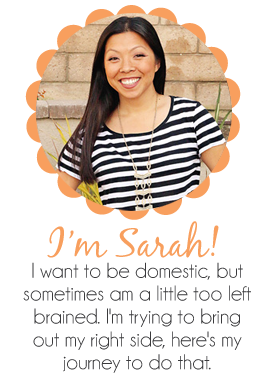 Shaunacey from Simply Shuanacey also wrote an amazing post on how to get rid of Mom Guilt. It's a must read. Feel pretty. Honestly, it sounds weird, but you are your best version if you feel pretty. You have more confidence and you feel like you can conquer the world. So do what you need to do to let yourself feel pretty. If that means taking a shower, go take that shower. If your little is crying for you, it's okay, get that quick shower in, because we all know clean hair and a clean body just makes you feel better. If make up, or pretty shoes, or whatever that thing is, buy it, spend a little extra to help you feel pretty. So when you start your day, you can think, I got this. Make up is my thing...I love everything about it and how it can transform me from feeling blah to feeling much better about life. Girlfriends/Mom friends. I can't stress this enough, find your local tribe and love them hard. I remember a time when I was sitting on my couch with my mom and sister and crying to them telling them I felt so lonely and that I had no one. My one friend I had here wasn't talking to me for her own issues and I felt awful. So you know what I did, I cried it out and then I got on my bike and made some friends. I was the one that reached out and said, hey let's get together. I put in the work and you know what? I started receiving it back. I was now getting calls to see if we could set up a play dates and Mom's Night Out. I know it makes you uncomfortable at times, but I have found that mostly, they feel the same way and if only someone would just reach out and say, hey I see you and want to be friends. Find something that you can do weekly that is just for you. For me that is working out. I wish I could do it more, but because of the Mom Guilt (I should follow rule #1), I try to only go to the gym, gym once or twice a week. The other times I do workout videos at home. which is totally fine because it shows my kids they can workout anywhere if you make the time and it's showing them a healthy lifestyle. Just this month, Mini Fox joined me for some Yoga, and Baby Fox did an entire workout video with me (which I was so freaking proud of, we got him some cans of beans for weights and he did everything, I wish I had taken a picture, but wanted to just be in the moment and enjoy it rather than stopping to take a picture). Anyway, back on track. I have a workout class every Wednesday that I LOVE taking, and it really does put me in a great mood, and I feel great afterwards and it gives me those workout endorphin's that makes me a better mother, as strange as that sounds. Mr. took this while we were in the middle of meditating. I had no idea he had taken it. Getting one on one time with your significant other. Making intentional time for your other half. I know this sounds weird as a self care tip, but for me that is working on my relationship with Mr. Every night we watch one show together, which sometimes means I am going to be late, but you know what? It's worth it for me because it is time we get to spend together, and even though we may not be talking, we are together enjoying our down time after the kids go to bed. My mom used to have this sign in our kitchen, right by our kitchen table that I read everyday for 15+ years...90% of your happiness is who you marry. Which I find totally true, by working on us, I am working on a happier version of myself. 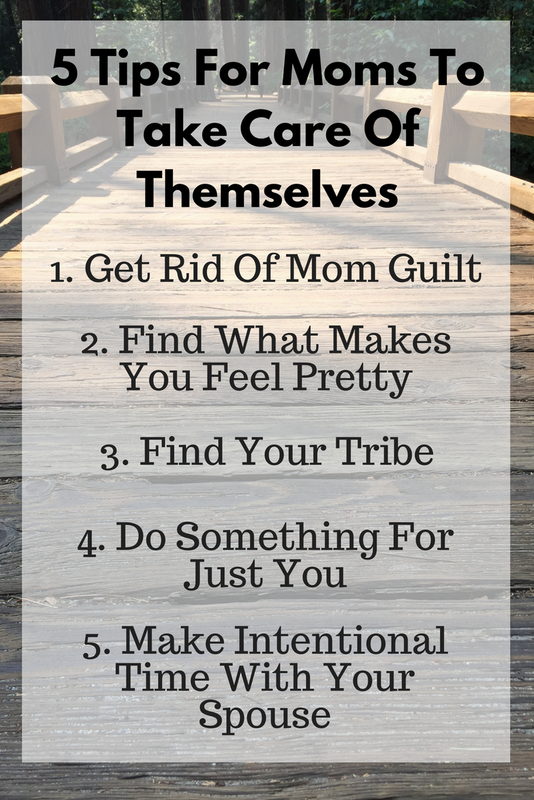 So those are my 5 tips for taking care of yourself. What is something that you can add? I'd love to hear it, either in the comments below or link up your post describing how you take care of yourself. 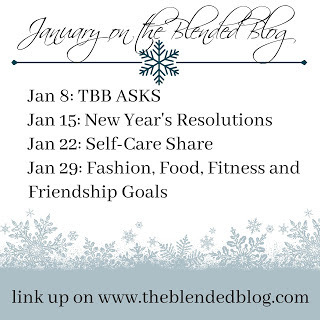 Next week we are sharing our Fashion, food, fitness and Friendship goals, please join us and share what's on your mind!